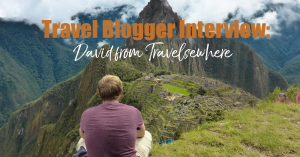 Welcome to my Travel Blogger Interview Series where once a month, I will put the spotlight back on my favorite travel bloggers! 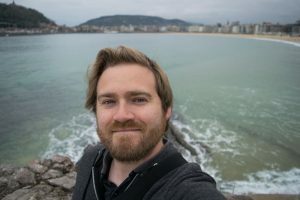 Once a month, I want to start putting the spotlight on some of my favorite travel bloggers who inspire me to continue to travel the world and to be a better travel blogger! Each month, I will choose one blogger and interview them with a set of questions and introduce you to them! Please help support them by sharing their favorite post and following them on SM! I can no longer remember where along my blogging social network I met David, but we quite often always linked up to many of the same travel blog link ups and soon we forged a pretty solid blogger buddy friendship. As much as I travel, I still found myself envying his travels and every new post he wrote, he was going somewhere either I was dying to visit or finding off-the-beaten-path, low-key, #undertourism destinations and introducing growing my ridiculously long bucket list! Many of his posts inspired my husband and I to do our two week honeymoon road tripping through the Balkans! After a year +/- of chitchatting, we eventually had our first meet up where he put on his tour guide shoes and showed my husband and I around Vienna’s Christmas Markets, indulged in quite a bit of glühwein and we had a bit of a “who took it best?” photo competition! Introduce yourself: Who are you? Where is home?/ Where are you now? Hi there! I’m David and although I’m from Australia, these days I call Europe home. 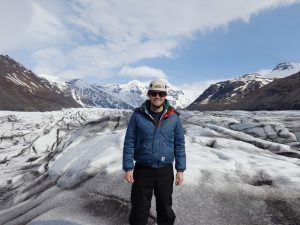 I’ve spent the last three years travelling about solo but have spent the majority of my time in Europe. What makes your blog unique and why should people read it? Hard to say really, but I guess it’s both. As a travelling freelancer and aspiring travel writer, I enjoy travelling around to experience new places but those places also tend to fuel my work. Over New Years Eve and the start of January I visited Belgium and Netherlands. 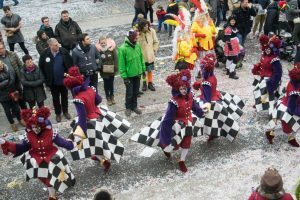 It was really nice to visit my friends again there and I even got invited along to a typical Belgian New Years Day family lunch which was impressive to say the least. Also, I hadn’t visited the Netherlands since I was a child so that was interesting too. Which country do you keep returning to the most? Since arriving in Europe three years ago, I keep returning to Vienna in Austria as I have family there. This means my visits are usually not so much about sightseeing as taking a break from all that. Besides Vienna, it would have to be either Belgium or Spain which I both love. Where is the best place you have ever been and why? When people ask me my favourite country I’ve always automatically said Iceland. Nowhere else I’ve visited has wowed me quite as much with its raw, stunning landscapes. There’s just so many waterfalls, volcanoes, barren plains, glaciers, I could go on forever. What really stuns me is that I know there are so many places I missed the first time around. If only I could afford to go back! Where is the worst place you have ever been and why? I like to think I have a pretty positive attitude towards places and can find the silver lining for any destination. That being said, the city of Comayagua in Honduras comes to mind. While on a group tour through Central America, there were plenty of reminders that Honduras can be a dangerous place (with its fair share of beautiful spots too). Walking back from dinner through the dark and seedy streets of Comayagua with 3 of the girls on my tour was rather nerve-wracking. It was heartening when I saw they’d removed it from the tour itinerary a year later. As I’m usually on my own when I’m travelling, it’s maybe not such a clear trade off. I do think I spend less time messaging people or finding social things to do because it feels like there’s always more to do on the blog. My hope is that I’ll get better with managing my time so that it feels like less of a demand on my time. 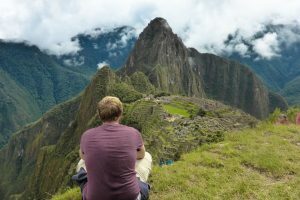 I think if you asked me this question when I was first started travelling long-term, many things would have been on my list, including my X-box and my hockey stick. Now that I’ve become used to living with what I can carry on my back, I’m used to fewer creature comforts. Probably what I’d like is simply the ability to carry my different seasonal clothes, so I didn’t have to switch everything over between summer and winter. I’m not really someone who believes in boycotting places because I personally don’t think it helps. To me, one of the greatest things about travel is that it encourages the exchange of ideas and helps you question your long-held beliefs. The thing that would stop me though is safety concerns due war and conflict in places like Iraq, Crimea etc. Besides my regular mishaps and failures hiking, one of the funnier, weirder experiences I’ve had was while taking the ferry from Panama to Colombia. My friends had been aboard the ferry the day before and made friends with the ship’s head engineer, a genial Romanian with good English. Tired with the rest of the crew who were all Italian, he invited us all to his large quarters, where he had food already prepared and his own drinks supply. It almost felt like a dinner party, except we’d had no idea. The conservation bounced all over the place and I think he tried to set me up with one of his daughters, but it was a pretty fun and random way to pass the time. 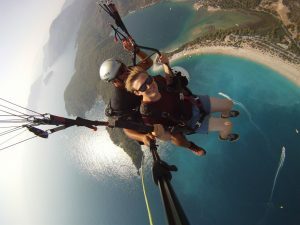 I don’t tend to think of myself as very adventurous, but maybe the riskiest activity I’ve done was paragliding in Turkey. Although I don’t have a big fear of heights, I was seriously nervous as we raced up the mountain on the way there – although that could have been to do with the driving. Once we were at the top, adrenaline took over and it really was unbelievable as we floated out over the Mediterranean Sea. What is your favorite means of transportation (plane, train, car, ship)? If I had the choice of getting about, which I usually don’t, my most enjoyable form of transport would have to be train. There’s just something soothing about the constant, gentle motion of the train and watching the world whiz by. That being said, if it’s on calm waters, sailing about can be even more relaxing. What sort of traveler are you? Full time / part time / business / backpacker etc? I’m probably parts of a few of these but not quite wholly any of them. I spend more time than not travelling about so quite close to full time, given I’m technically homeless. I would say I’m a backpacker too, but these days I just can’t put up with dorm rooms. While I don’t love the term, digital nomad is probably the most accurate label. Do you have a Bucket List? If so where are the 3 top places on it? A long one. A really, really long one. Several actually. I have one for new countries I’m most excited to visit; one for the next trips I’d like to take; and then the ones for all the spots I missed during previous trips. The destinations I’d love to visit ASAP are the Faroe Islands, Ethiopia and Iran for a whole jumble of reasons. Do you feel burnt out by constant traveling? If yes, how to you handle it? If no, then how to you go about it? Having travelled continuously for so long, I’ve got much better at identifying when I need a break. There’s only so much sightseeing and relocating you can do before it takes a toll on you. My old rule of thumb was 6 weeks travel and I needed to find a day or two of everyday stuff like binge watching TV to recharge. I try to plan in my breaks more regularly to avoid burning out somewhere that I’d really like to be sightseeing. Do you have a travel post you are most proud of and why? 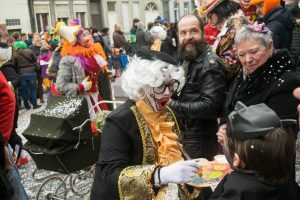 Hands down it has to my photo essay I put together for the Carnival celebrations in Aalst, Belgium. The experience itself was so much fun and I was able to take tons of photos, which I love doing while travelling. The best part though was the response it received in Aalst. I had the organisers contact me about it, inviting me back the next year and it received a huge number of views then. 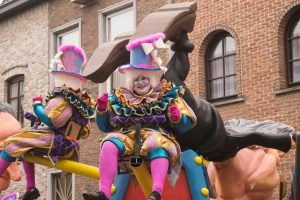 My friends in Aalst said that even the next year, people were still mentioning the article and the fact that someone from so far away had come to experience their local festival. What is one travel hack tip you could give readers? It often seems like people try and cram too much into their holiday itineraries. It’s far more fun to enjoy the destinations you’re in and explore them at your own place, rather than marching to beat of your minute-by-minute schedule. My tip would be when planning your next trip, remove at least one more destination than you initially plan. The less time you spend moving from A-to-B the more sightseeing you can do, plus day trips are always possible. Do you have one ultimate favorite picture from your travels? Why? That’s really not a fair question to ask, because if you send me in to look for just one photo I may never come out. 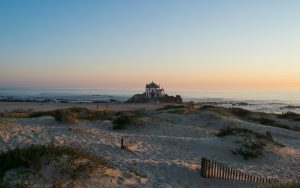 I will say that one of my favourite photos from last year was this shot of the Capela do Senhor da Pedra south of Porto in Portugal. I just feel like it captures the beauty of the place and the serene feeling I experienced watching the sunset there. After a quiet month of working and freezing in Vienna, I’ve ventured off to Croatia and plan to explore some new parts of the Balkans which are one of my favourite corners of Europe. 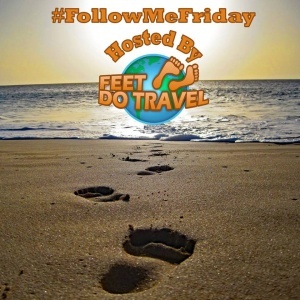 For more from Travelsewhere follow him on Facebook, Instagram and on Pinterest! So glad you enjoy David’s blog! He takes us to some of the best places!! What a fun post/idea! I love hearing from different travel bloggers and reading about their experiences being on the road full-time. His blog sounds so interesting and I’m going to check it out after I leave this comment! Paragliding in Turkey is now on my bucket list. How cool! David has a ton of amazing posts so take a peruse around! I think his endless wandering shave left me incurably wanderlusting! David is one of my favorites! 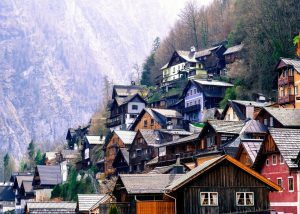 I enjoyed all the info here, especially #18 on planning an itinerary. I always want to add one MORE location, but David is right — better to plan less. It always takes more time to get from one place to another than you think it will! What a fun post! David’s adventures are enviable and his photography is great. I love posts like these which give you a little more insight to the person behind the blog! Can only imagine what we will have to much of when we finally meet too one day ? It’s always great to find out more about the travel bloggers I follow. I’ve been following David for a while. I particularly like the way his writing flows and the “elsewhere” locations he covers. I know my “destinations to visit list” has grown considerably since following him. Interesting stories, thanks. Faroe Islands is not a place I’ve ever thought of going, so looking forward to reading more about that.